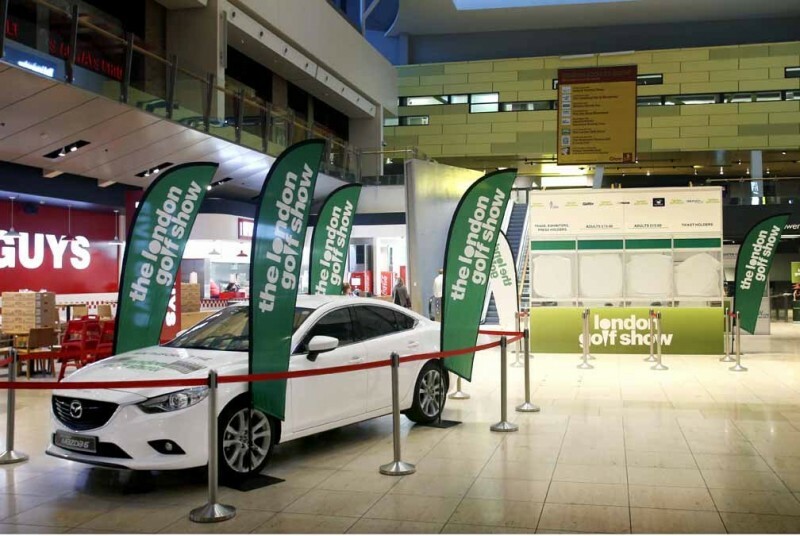 More than 12,000 visitors are expected to ‘The London Golf Show 2014’, each will have the opportunity to closely examine the ground-breaking all-new Mazda3, Mazda6 and Mazda CX-5 following the Japanese brand’s appointment as ‘Official Vehicle Partner’ for the second year. The three-day event takes place on 14-16 November at GLOW in Bluewater Shopping Centre. “The London Golf Show presents Mazda with an ideal opportunity to promote its new generation of vehicles, with their unique fuel-saving SKYACTIV technology, to an audience which includes company car drivers for which the Mazda6 and Mazda CX-5 have immense appeal,” comments Steve Tomlinson, Head of Fleet, Mazda UK. 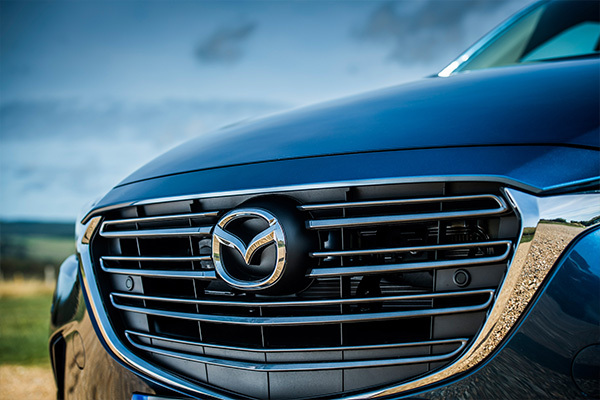 “Genuinely innovative, SKYACTIV technology has enabled us to create best-in-class, multi award-winning vehicles like the all-new Mazda3, Mazda6 and the Mazda CX-5, which have won a number of awards since their launch, including ‘2014 Large Family Car’ and ‘2013 Best Crossover’ by Auto Express and given the ‘2012 Green SUV Award’ as well as being named ‘2013 Britain’s Best Buy SUV under £25,000’ by WhatCar?. All three cars have been really successful in the corporate sector appealing to company car drivers looking for outstanding efficiency without any compromise on performance, something SKYACTIV technology delivers on,” adds Tomlinson. The show will display the all-new Mazda3, a Mazda6 Saloon and Tourer, and a Mazda CX-5 compact SUV – each model finished in the generously equipped, range-topping Sport Nav specification. The show is designed to provide golfers of all ages with informed expert advice, free PGA tuition, a massive indoor driving range, custom fitting, club testing, simultators and all the latest golf gadgets. The show opens at 10.00 hrs and closes at 18.30 (Friday 14 November), 18.00 (Saturday 15 November ) and 16.00 (Sunday 16 November). 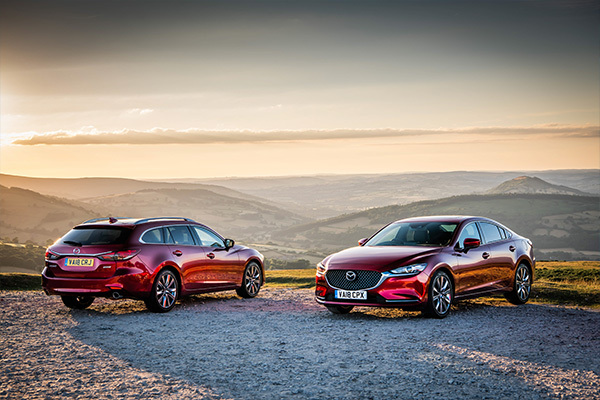 Across the UK, the 136-strong network of Mazda dealers offers Mazda6 buyers a choice of 28 Saloon and Tourer models, with a choice of petrol or diesel power (from 145 to 175ps) and prices ranging from £19,595 to £28,295 on-the-road (OTR). The 36-strong all-new third-generation Mazda3 line-up of 21 hatchback and 15 Fastback models are priced from £16,995 to £23,745 on-the-road (OTR). The range is powered by a choice of two SKYACTIV-G petrol engines – 1.5-litre 100ps and the 2.0-litre 120ps or 165ps power output – and a 2.2-litre 150ps SKYACTIV-D turbo diesel engine, with a choice of six-speed manual and automatic SKYACTIV transmissions. Every new Mazda customer benefits every day from the company’s ‘defy convention’ approach to engineering – an automotive philosophy that guarantees outstanding performance, as well as great fuel economy (up to 72.4mpg)* together with low CO2 emissions (from 104g/km)*, without having to downsize engine capacity. 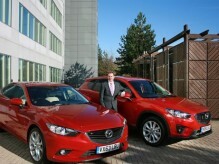 The Mazda CX-5 model range features a 16-strong line-up with prices starting from £21,895 and rising to £29,895 (OTR). Customers are offered a choice of three engines (165ps petrol and 150ps or 175ps diesel), manual and automatic transmissions, 2-wheel drive or All-wheel drive (AWD) and three equipment levels – SE-L, SE-L Lux and Sport Nav.